This weekend, three girl friends from BFIS and I rented a car and drove up the Costa Brava (“Rugged Coast”) for a weekend getaway. It's exhausting kicking off a new school year, and this weekend was perfectly timed. The Costa Brava stretches from a town 60km north of Barcelona (Blanes) to the French border. The northernmost section of this rocky coast is centered around Cap de Creus headland and natural park. 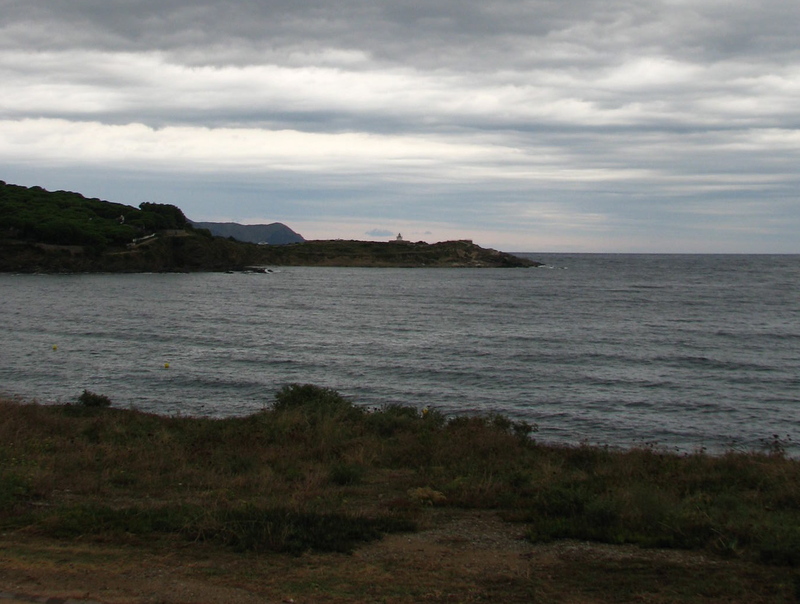 Cap de Creus is the easterly most point on the Iberian peninsula. The most famous town on the Cap de Creus peninsula is Cadaques, where Salvador Dali lived most of his life. 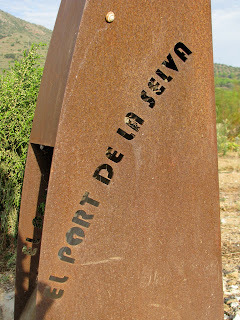 It was home to an artistic literary colony after WWII when Dali and his wife Gala settled in nearby Portlligat, and for years to come, continued to attract a bohemian community. 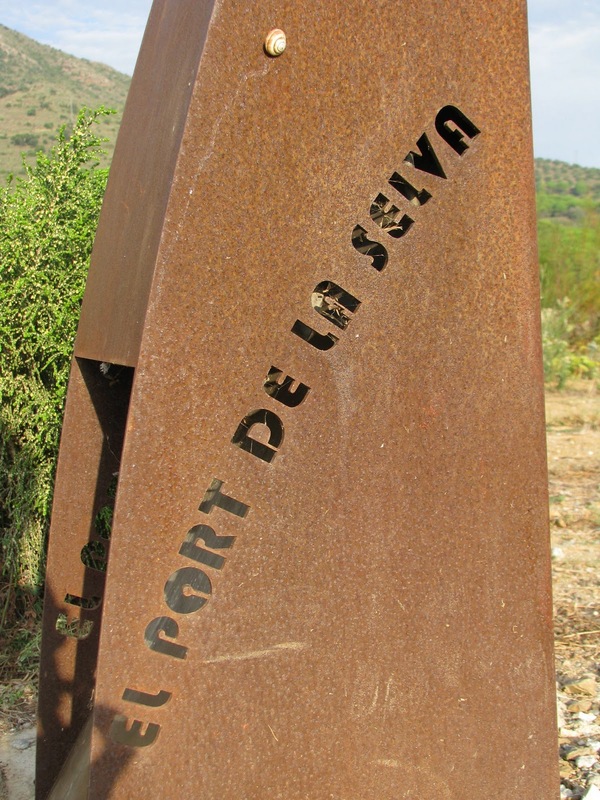 We drove 13km northwest of Cadaques, to a sleepy little port town called Port de la Selva. This portion of the Costa Brava boasts some of the cleanest water in the Mediterranean, so much clearer and colder than the seawater in Barcelona and Sitges. On Saturday, we hiked up to Sant Pere de Rodes monastery through the Vall de Sant Creu. The first written record of this monastery dates to 879 AD. It was once considered the most romantic ruins of Catalunya, but repeated restorations marred its Catalan Romanesque style. It looks quite bland and bleak from the outside. We didn’t go inside. Instead, we ate lunch by the nearby church of Santa Elena, which was undergoing an archaeological dig. On Sunday, we woke to a stormy sea and an overcast sky. We read and relaxed all morning inside the apartment, then headed back to the city. I've never lived on the sea before, and am enjoying exploring such different beaches and port towns. It’ll be hard one day to not to live by the sea. I also can't help but look out across it and marvel that these are the same waters that stretch all the way around Italy and to Turkey.